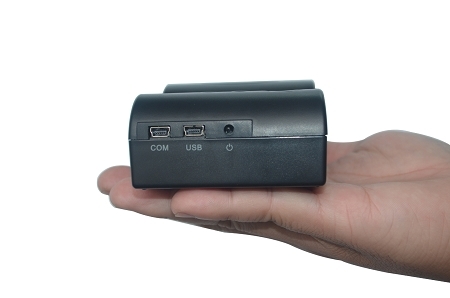 Featuring Bluetooth 2.0 and eliminate the need of driver on all Android devices. Simply connect and print. 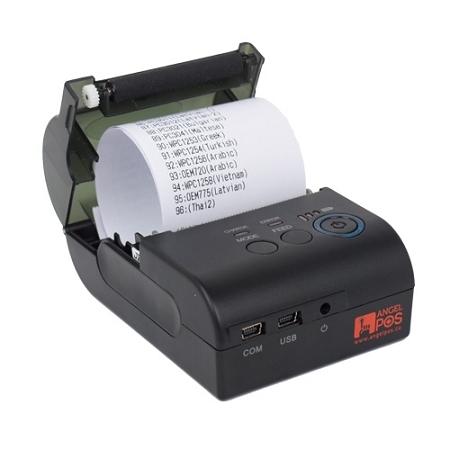 A great choice for any mobile receipt printing application where you need fast, on-demand printing with speeds up to 50mm per second (2"/sec). 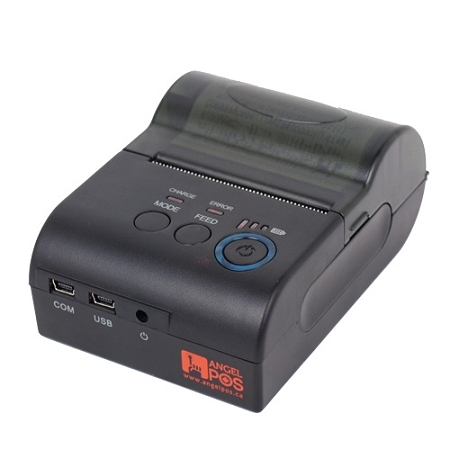 This printer also utilizes a long-life Lithium-ion battery with a 8 hour continuous operation life (approx. 10 ø40mm rolls per battery charge, stand-by : 14 hours). 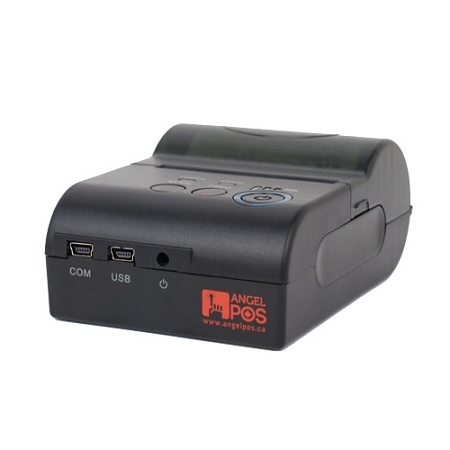 Rugged design, small size - Uniquely designed for harsh outdoor environments, and handheld size this printer is ideal for printing delivery receipts and invoices on the go. Fast printing speed - To speed up customer transactions without sacrificing performance, this printer prints texts and graphics at a consistent speed of 50mm per second. Reduced data processing time has been achieved by utilizing a more powerful CPU; increases in performance have been made by upgrading mechanical components and optimizing software. Paper width: 58mm / 2 1/4"